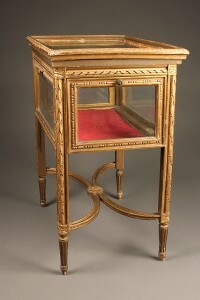 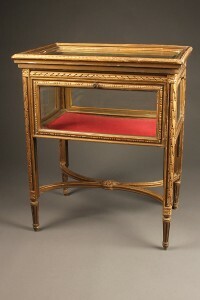 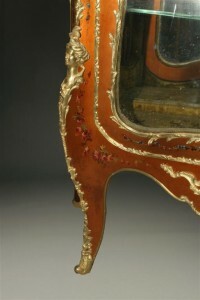 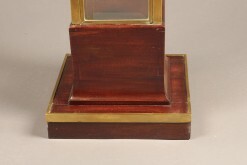 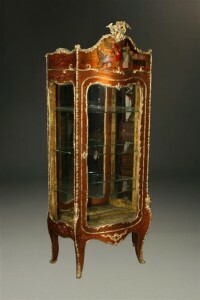 Louis XV rustique French confitierre/vitrine. 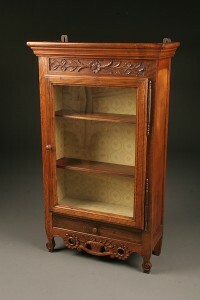 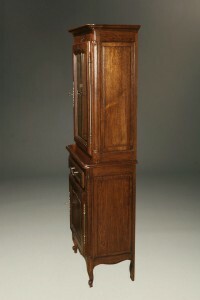 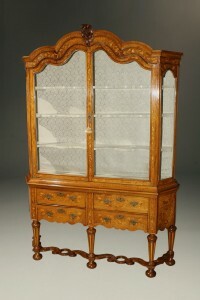 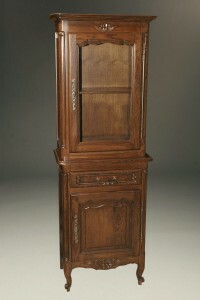 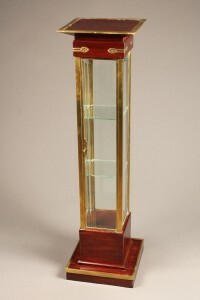 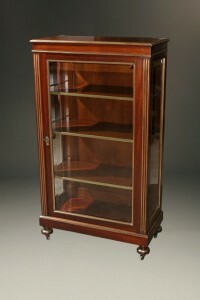 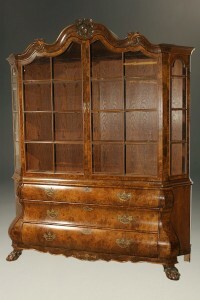 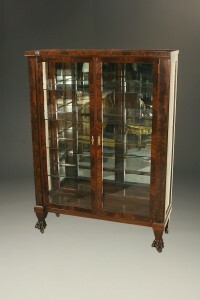 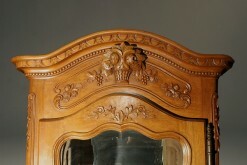 Louis XV style bonnet top oak vitrine with glass door. 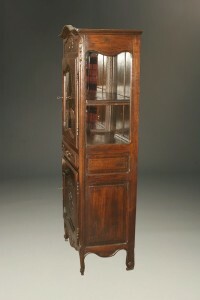 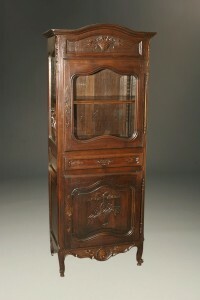 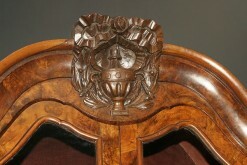 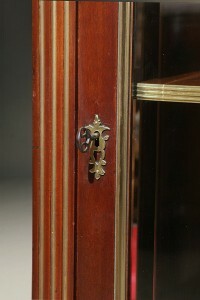 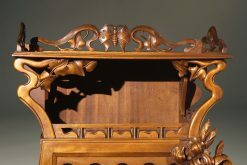 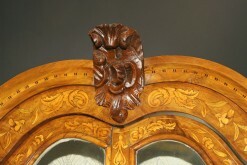 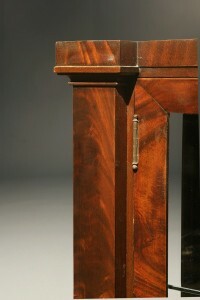 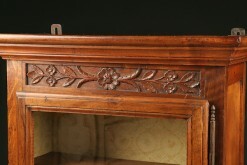 Louis XV style hand carved walnut French Vitrine. 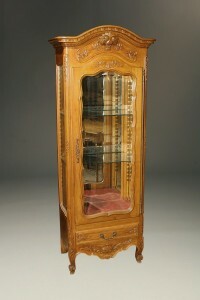 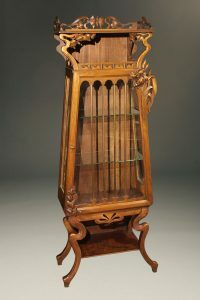 Rare early 19th century Dutch marquetry inlaid vitrine.